with an armful of goodies for swaps and bees! Plus a number of things crossed off my to-do list! 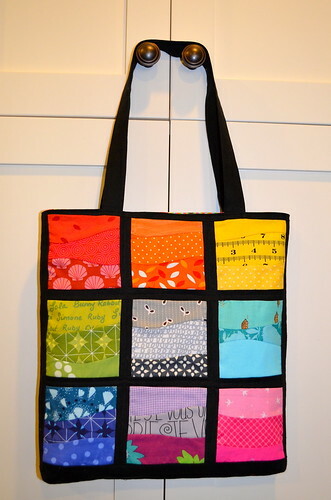 Up first is the Mouthy Stitches Tote Bag Swap. This side is just improved pieced squares in rainbow colors. It was fun to make all the curves! I used Essex linen for the background on both sides and lots of scraps from my stash. The other side is a paper pieced star compass. You can find the free pattern and lots more like it here. The inside is lined with a fun print from Anna Maria Horner's Garden Party line which I have been hoarding for a long time. I added a little zippered pocket, from my tutorial here. 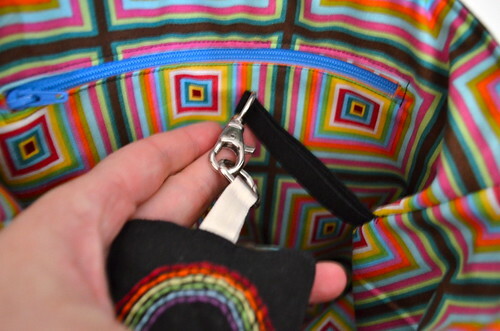 The rainbow on the linen square is the little extra - the key fob. My recipient's name is embroidered under the rainbow and the back is one of those AMH concentric squares. 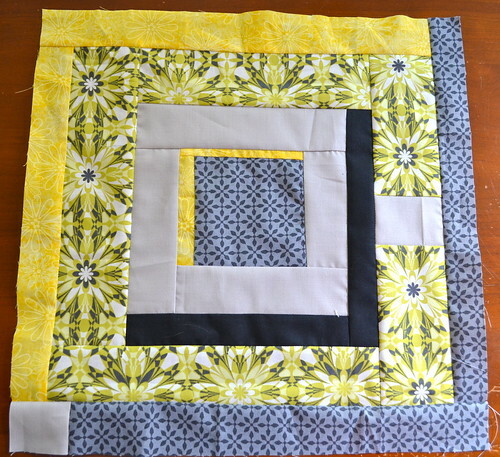 On to the first of the October Bee Blocks. This is for Francine, in the Sewn Together Bee. She requested DS Drunk Love in a Log Cabin blocks with her Silent Cinema fabric. I added the kona pepper to her fabrics. The last parcel to ship contains my do. Good Stitches blocks for the Joy Circle this month. Elaine had the brilliant idea to switch up this template with brightly patterned balloons. You know I am loving paper piecing at the moment, so I couldn't have been happier! So, now I am off to get them in the mail, and hope they reach their intended recipients quickly! Now, I just need to get on the Ninjago Lego halloween costumes - both pairs of pants are finished, but that was the easy part! Now I'm on to the jackets with "golden armor." Wish me luck! so much to love in this post! 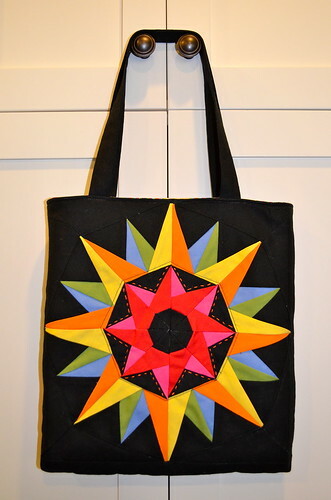 Your MS bag is wonderful-- love the paper piecing and then the curves on the back. Of course I love the fabric you used to line it too! 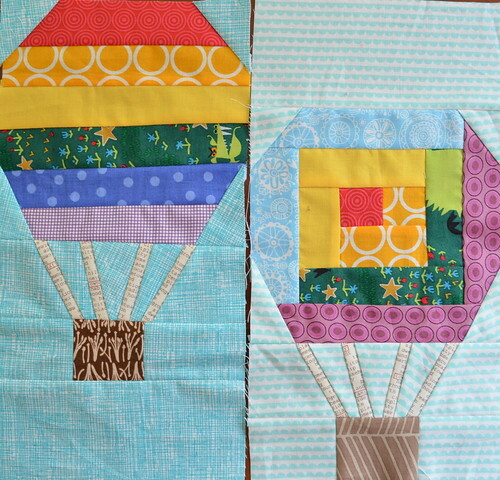 And our hot air balloon quilt is going to be amazing!